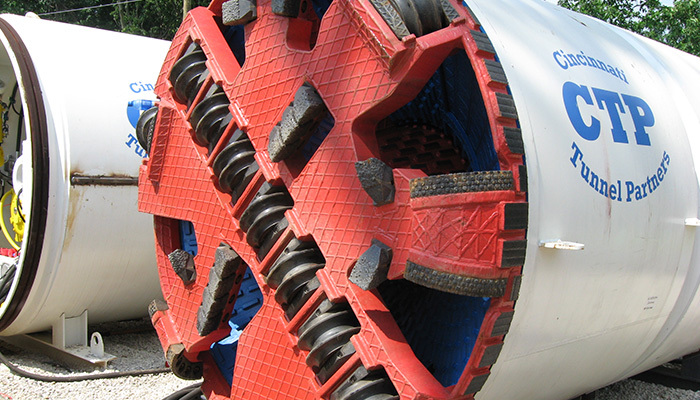 The Eastern Avenue and Delta Avenue Sewer Separation Bundle includes three projects intended to improve the quality of the Ohio River. 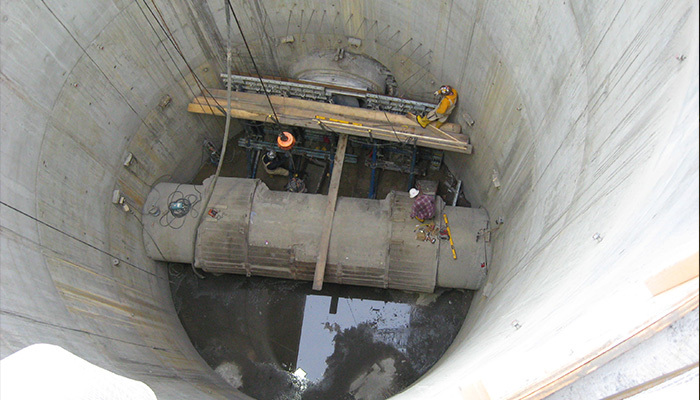 Phase 2 of this bundle involves extension of the intercepting sewer to two new CSO facilities. 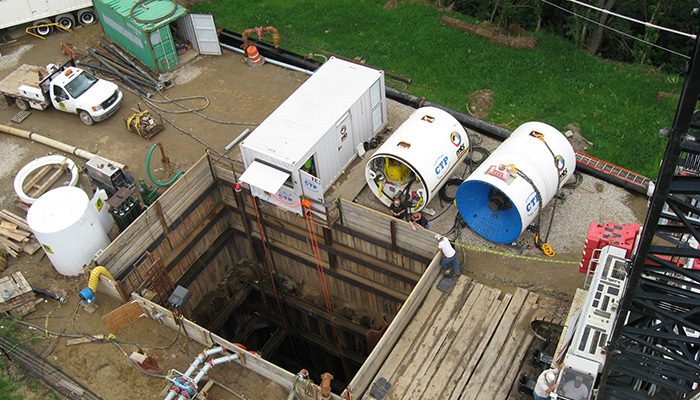 The projects will reduce the volume of sanitary flow discharged into the Ohio River during wet weather events. 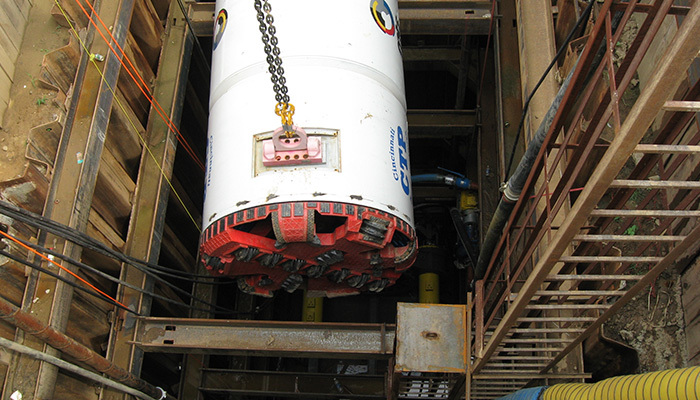 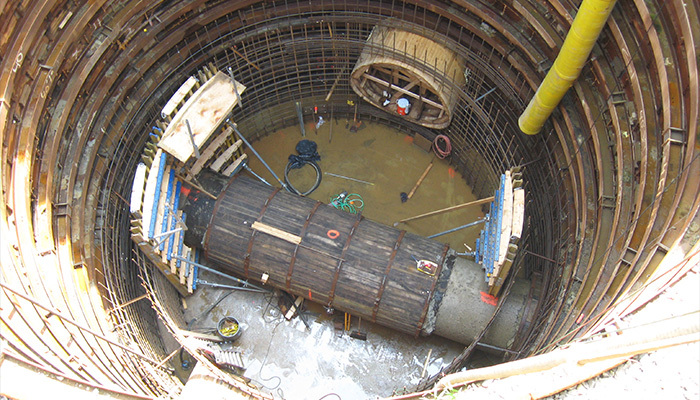 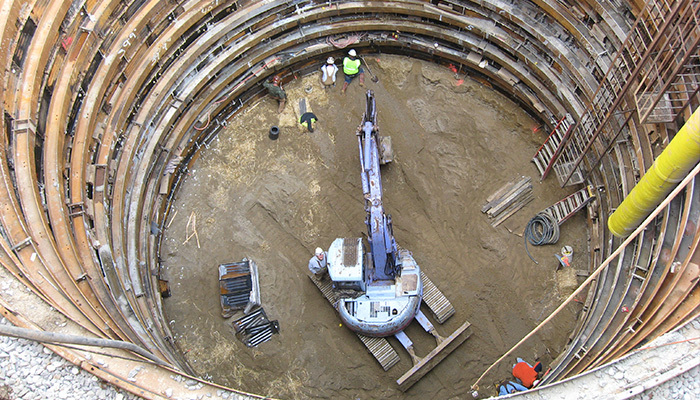 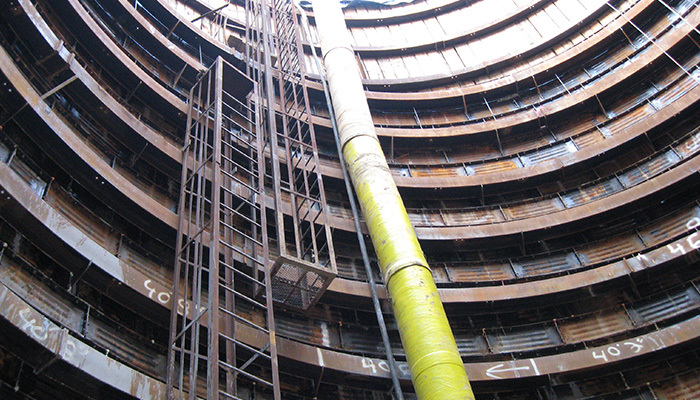 The gravel & sand ground conditions combined with a high water table connected directly to the Ohio River required the use of watertight shafts and pressurized face tunneling methods. 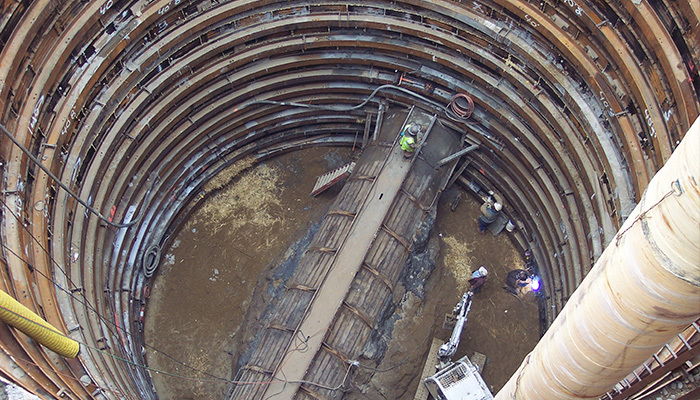 The 6,100 ft. of 84 in. 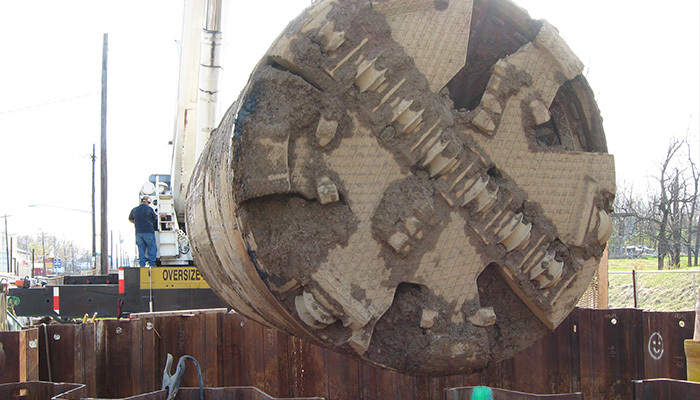 RCP tunnel was excavated via micro-tunneling. 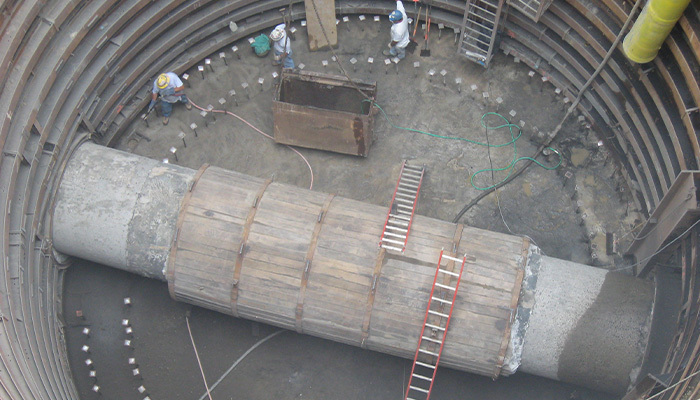 The tunnel was then slip lined 72 in. 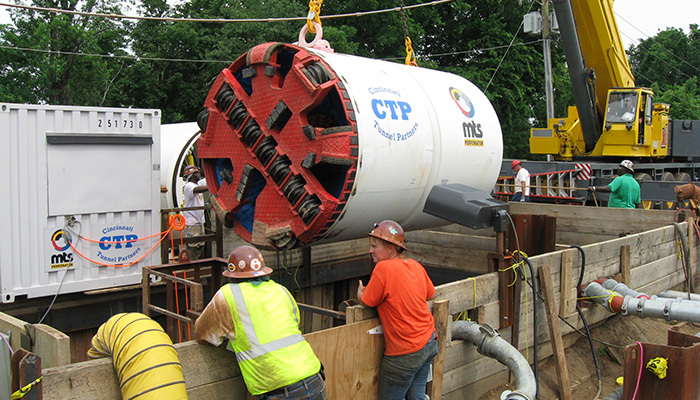 centrifugally cast fiberglass reinforced polymer pipe (CCFRPM) and grouted in place.